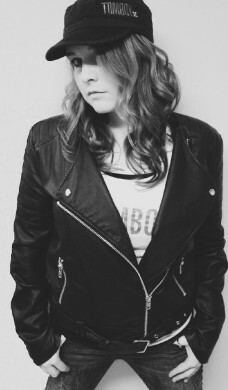 Label eschewing singer-Songwriter Hannah Thomas has been called country, punk, rock, Americana and more. She’s a genre-jumping outlaw, so it is no surprise that Thomas has enlisted power pop producer extraordinaire Don Dixon (R.E.M., the Smithereens, Marti Jones) to work on her next release. The EP, tentatively called “The Truth About an Outlaw,” will feature an all-star ensemble, including Dixon on bass, Jim Brock (Indigo Girls, Joe Walsh, John Melencamp) on percussion, Tomi Martin (Madonna, Michael Jackson, Justin Bieber) on guitar and Cooper Carter (Solo-A-Week) guesting on lead guitar. In order to raise the loot to record the eight-song CD in four days, Hannah is launching a Kickstarter campaign. Supporters get all kinds of goodies, like a pre-order of the CD, house concert or a day in the studio. Check out Hannah’s Kickstarter heist, which runs through April 24, 2014. Yeehaw. You can’t keep a good outlaw down. Posted March 28th, 2014 & filed under Entertainment.